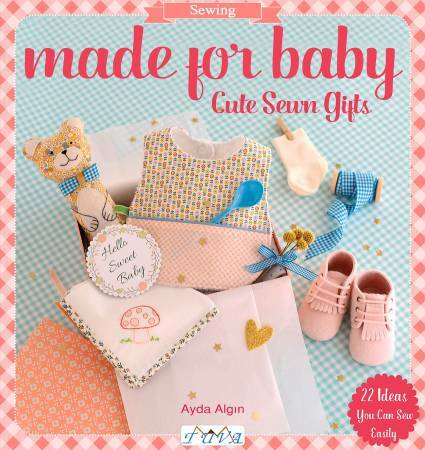 If you have been invited to a baby shower, want to show your support for new parents, or want to make something pretty for your own lovely baby, then Cute Sewn Gifts for Babies is just the book you're looking for! The arrival of a new baby is not only cause for celebration, it's also an opportunity to make handmade gifts. Sewing personalized presents for babies is more popular than ever, and there's nothing more heart-warming than an exquisite handmade keepsake for a little one. You will find 20 beautiful projects including bibs, blankets, diaper bags, cute stuffed toys, and much more to transform your child's room into a joyful playground. Many of the projects are fat-quarter friendly, so it can be a great way to use up scraps of fabrics you have! The projects are presented with beautiful photography and charmingly illustrated step-by-step instructions. It is perfect for beginners while also giving the more experienced crafter inspirational ideas and patterns.